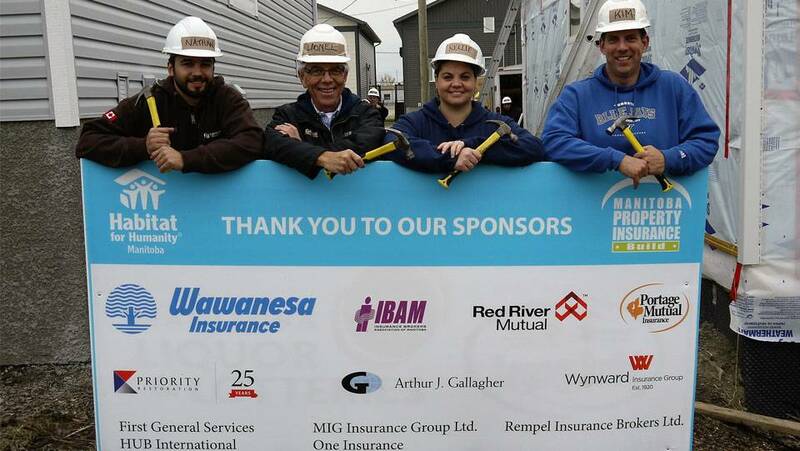 October 5, 2016 Team Rempel helped out at the 4th annual Manitoba Property Insurance Habitat for Humanity build in Winnipeg. Rempel Insurance contributed $1500.00 towards this project, and partnered with Wawanesa Insurance, Portage La Prairie Mutual Insurance, Red River Mutual and Wynward Insurance Group. 100% of funds donated goes toward the purchase of building materials and trades labour required to construct a home that can then be purchased by a Habitat Partner family. Together, we can make dreams affordable!